Bord na Móna has revealed plans to significantly increase its focus in the UK retail market over the next year as it readies for Brexit with the opening of a new distribution site in Cambridge. The news follows the company’s recent restructure as it decarbonises its business in Ireland and moves away from peat harvesting for energy and towards ‘greener’, more environmentally friendly alternatives. The Irish company, which manufactures peat-free and peat-reduced composts and other growing media, currently exports its own-label and branded products to over 30 countries worldwide, with recent developments opening up new opportunities throughout the UK. In 2017, Bord na Móna acquired White Moss Horticulture, one of the largest green waste composting companies in the UK. The acquisition was the company’s first step towards mitigating the risks of Brexit, while also enabling a highly-improved logistics structure and further investing in the UK’s most modern growing media facility, all to meet with growing demand from British stockists. Bord na Móna has already moved significant volumes of stock over to the UK to ensure continued control and complete confidence in its service, whatever the outcome of Brexit. Whilst 2018 was a relatively flat year for growing media according to GfK data, Bord na Móna has experienced double digit growth supported by its purchase of White Moss. The business is now accelerating its investment programme in the UK to maximise its opportunities there whilst aligning itself with government strategy to use less peat. To find out more about Bord na Móna and the Bord na Móna Growise range, visit: www.thegreenergardener.com. 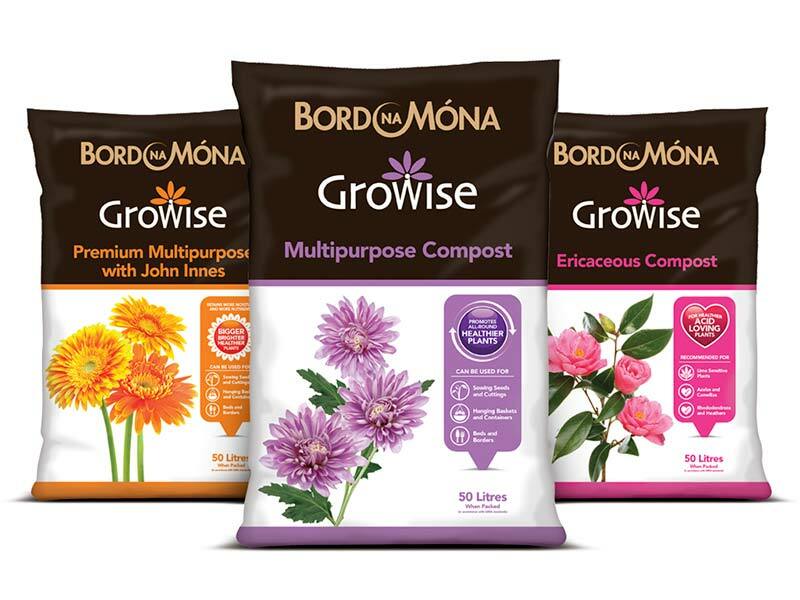 Bord na Móna offers peat-reduced and peat-free growing media, soil improvers, barks and fertilisers, primarily through garden centres nationally. It is also the largest own brand supplier of growing media and barks in the UK and Ireland. It is part of Bord na Móna plc, which specialises in renewable energy, horticulture, resource recovery and eco-fuels. The horticulture business is focused on the manufacturing, marketing and sales of growing media and other horticultural products to UK and Irish retail markets. It also supplies professional markets primarily in the UK, Ireland and Europe, where it provides innovative products to meet customer needs. The business exports growing media products to over 30 countries.